A well-appointed luxury cruiser that will haul you and your family around town in style and comfort, the 2017 Volvo XC90 in Plano, Texas is an ideal choice for car shoppers in the Dallas area who expect the red carpet treatment each time they decide to venture out onto the open road. Keep reading our review of the XC90 to find out why you should consider this elegant SUV as your top choice for your next new vehicle purchase. 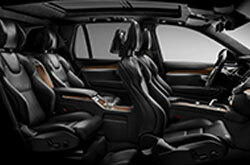 The XC90 is offered in four trims: base Momentum, R-Design, Inscription and Excellence. T5 and T6 are the names used to refer to regular XC90 models, while the hybrid is known as the T8 Twin Engine Plug-In Hybrid. Standard features include 18-inch alloys, roof rails, a hands-free power tailgate and LED foglights. 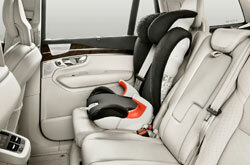 Depending on the trim, there's seating for up to four-, five- or eight-passengers. Designed to make life easier, the 2017 Volvo XC90 in Plano gets a 9-inch touchscreen, navigation, Bluetooth, a USB port and a 10-speaker sound system. The Luxury package, which is only offered on Inscription models, adds a heads-up display, a built-in second-row child booster seat and a 19-speaker audio unit. Many 2017 Volvo XC90 reviews praise the vehicle's powerful engines. And for good reason. T5 models are fitted with a 2.0-liter turbocharger that generates 250 horsepower and 258 lb.-ft. of torque. 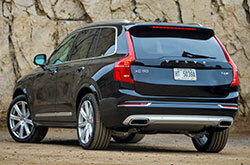 Stepping up to the XC90 T6 gets you a 2.0-liter supercharged four that produces 316 horsepower and 295 lb.-ft. of torque. Both engines are paired with an eight-speed automatic transmission. As we mentioned above, there is also a Twin Engine Plug-in Hybrid model that is perfect for those who want both power and added fuel efficiency. The vehicle gets state-of-the-art safety systems like frontal collision warning, anti-whiplash front seats, and stability and traction control. For more safety tech, 2017 Volvo XC90 reviews recommend having options such as a surround-view camera, blind-spot monitoring, rear cross-traffic alert, and lane departure warning and intervention added to the vehicle. 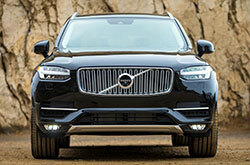 Stop by Crest Volvo today to test drive the new Volvo XC90 in the Dallas area! 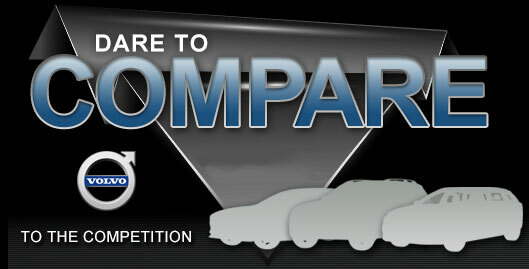 Which Volvo has 3rd Row Seating? 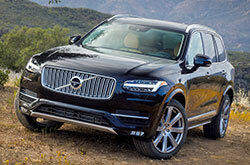 Want More Details on the Volvo XC90? Don't just look at the 2017 Volkswagen Touareg, Buick Enclave, Lexus GX 460, Cadillac SRX and the Acura MDX when on the hunt for a new car; also remember to view the 2017 Volvo XC90 near Dallas. Chances are that it completely suits your strict demands, with its plenitude of features and attention-grabbing design from front to back. Utilize the materials listed in our review to see if the 2017 Volvo XC90 fits your traveling needs, then check out Volvo great short-term lease offers online! As your neighborhood car dealer, we're the spot to go if you want to find the crowd-pleasing Volvo XC90. When shopping for a car, it's important to make a well-informed choice; that's why we've included this 2017 Volvo XC90 review ideally suited on our site. Experience the Volvo XC90 in Plano, TX; sending a request for a test drive at Crest Volvo Cars is streamlined with our contact form. Want a chance to see it before your visit? That's no problem - checking out the embedded video recording will give you a peek at its cabin and exterior from all vantage points.